On September 11, 2001, Muslim terrorists attacked the United States by flying 4 planes into certain targets*, killing all on board and many bystanders too. They hit the World Trade Center’s two towers in NYC, the Pentagon in Washington DC, and *one plane never did reach its intended target due to the heroics of the passengers. They instead drove the plane, suspected of targeting the Nation’s Capitol building, into the ground in Pennsylvania instead. That day was 15 years ago but I remember its searing pain and bewilderment like it was yesterday. It occurred two years and two months before I was saved and I remember in the aftermath wondering a lot about death, eternity, and religion. It is still a painful day to remember. As the rubble was starting to be cleared two days later, a volunteer who was looking for bodies came across a large piece of steel beam that had fused into what looked like a cross. 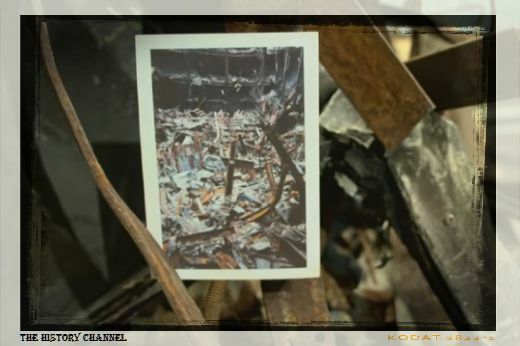 “A grief-exhausted excavator named Frank Silecchia found it on Sept. 13, 2001, two days after the terrorist attacks.” In the clip from The History Channel, Frank said, “Terrorism took down the Towers, but faith rebuilds our hearts”. The article recounts the discovery of the cross. In parts, a Catholic point of view shows through. However, it is still an interesting story of a grief-stricken soul trying to find meaning in the chaos. The History Channel shows a clip of the story of the cross. 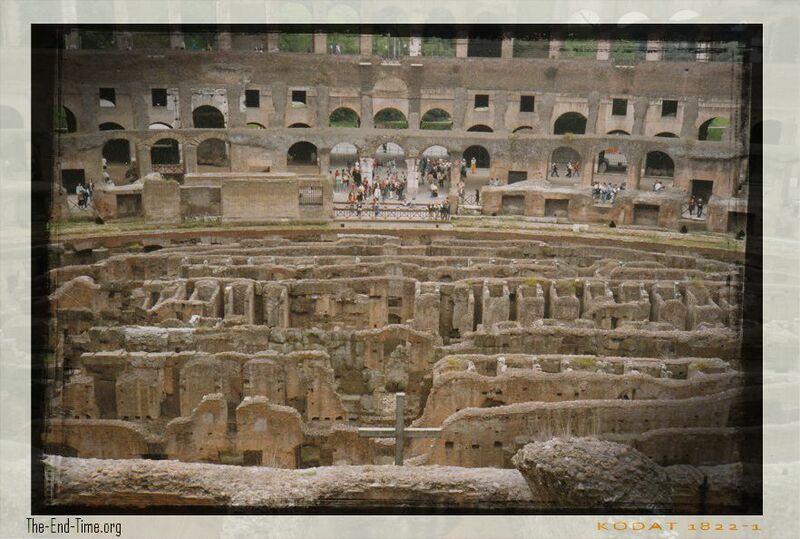 A few years ago I wrote a piece about the cross at the Colosseum in Rome. It is a simple sturdy cross, located at the place where the Christian martyrs were held below ground and pushed up to the floor of the amphitheater, where hungry lions were waiting to devour them. The photo below is the one I had taken when I visited there in the late 1990s, before I was saved. I never saw the cross when I was visiting and snapping the photo. The lost truly are blind, unable to see the things of Christ. Yet after I was saved and I was sorting through photos, I spotted the cross immediately. Recently Challies posted an essay titled The High Calling of Bringing Order out of Chaos. I liked reading about the original chaos into which God brought order, the creation of the earth. The article went on to describe the order that comes from labor, you know, work. Laboring to subdue the earth, and tending the Garden. Order is created by man’s work in obedience to God’s will. True order is created in man’s soul-submission to God’s spiritual will, which is belief in the Son. An unsaved man’s soul is in chaos, formless, and void. It assigns no meaning to events that happen, such as 9-11. It does not know goodness, holiness, or God. The beauty of horrific events is that through them, some are saved. Their souls are knit into likeness of Jesus, increasingly conformed in holiness and purity to His. Order is created with every regenerated heart. Every time a person comes to the cross, the soul which is without form, and void, is filled with grace and peace and is made a new creation in God’s image. Order ensues for the previously stony heart, made soft and pliable, conforming to His likeness. The spiritual chaos brought by the terrorists’ act is one that can’t be described in any sensible manner. Shock, disbelief, anger, hunger for any and every scrap of information, then exhaustion, and finally raging grief eventually subsiding to a dull ache that arises whenever one thinks about the day fromt he distance of time. Millions of people asked the same questions that day. “Why does man continually do this to one another? Why is there war? Why did God let this happen?” Without Jesus, one can only answer in platitudes. With Jesus, every answer becomes clear. Spiritually, emotionally, and nationally, chaos occurred. However, eventually order ensued. It was the same with the martyrs at the Colosseum. The chaos of the ghoulishly gleeful crowds, the spiritually blind howling for death of the Christians, the roars of the lions, the swirl of sand and dust and blood as the martyrs fell one by one. The world without Christ is one of spiritual chaos. With Jesus, the cross brings meaning and order to the troubled, turbulent soul. In his creating, sustaining and saving work, God reveals himself as a God of order. Likewise, the life of his people and of society as a whole should be orderly. The attacks happened on a Tuesday. On Sunday, churches all across America were filled. People asking, seeking, trying to find order in the chaos. Pastors grappled with answering the graphically visible questions of life, death, religion. As one article I read said, the attacks delivered an unfathomable religious jolt. When you hide your face, they are dismayed; when you take away their breath, they die and return to their dust. (Psalm 104:29). The difficult question, of course, is do most people even know this God they’re reaching out to in this time of need? And is He listening? Are there any absolute authoritative answers to the serious looming spiritual questions being raised as this worldwide crisis trickles down to an intimate individual’s spiritual issue between the creature and the Creator? How can people deal personally once and for all with the problems at the level of their own souls? The chaos if life without the cross, and the orderliness of peace of life with the cross. It’s all about the cross, which means it’s all about Jesus. Whether times are good and flowing with milk and honey, or dramatically terroristic and chaotic, standing firm under the cross makes the difference.